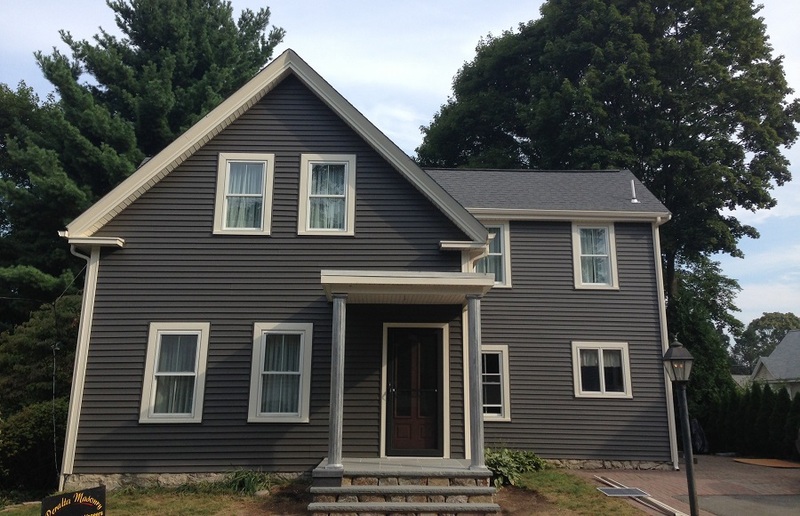 Siding Replacement Project in Natick MA | Siding Contractor | Nor'easter Roofing Inc.
As promised here are the before and after pictures of one of our latest siding projects on Concord Street in Natick MA. Take a look and see just how much a siding job from Nor’easter roofing can improve the look of your house! This House needed a serious siding makeover, but now that we got our hands on it, it looks good as new! 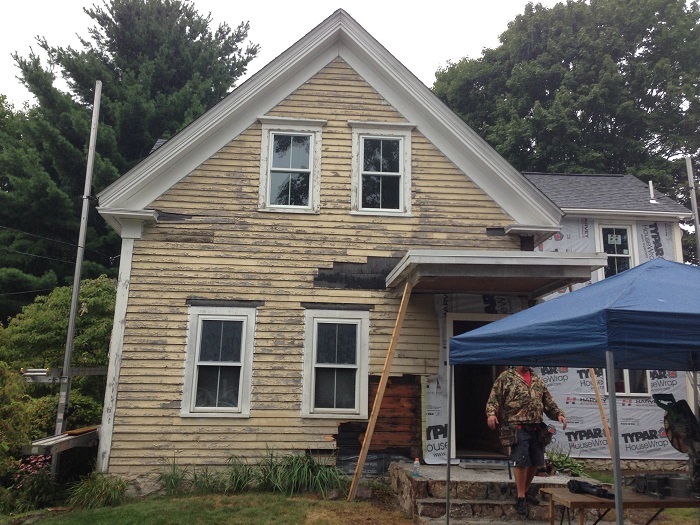 If your siding looks like it’s in need of a makeover, please give Rob Chaille a call @ (508) 667-3278 for a free Estimate!